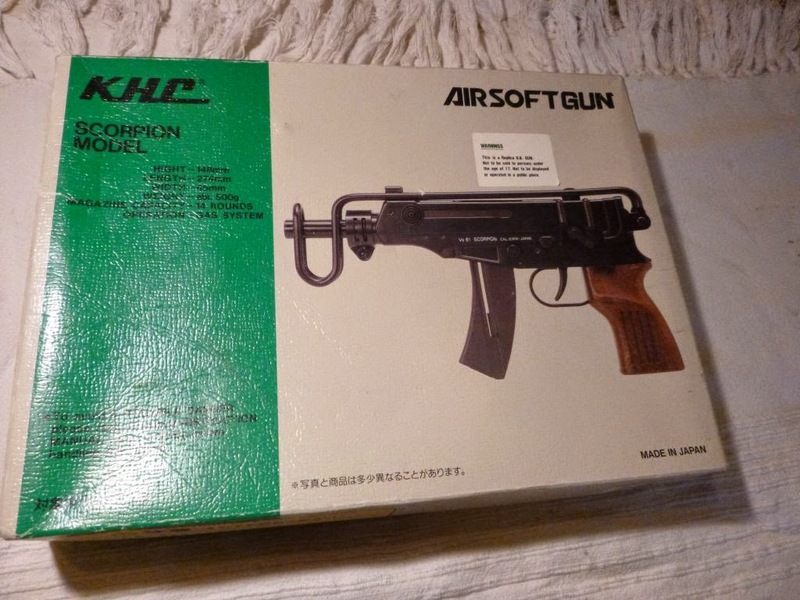 At a loose end this afternoon I stumbled across this old airsoft machine pistol I bought way back in the summer, thinking to use as the basis of a Lasertag gun. I've tons I should be doing but stripping this down and messing about was what appealed. It's not a bad looking thing and the clip over folding stock is really quite cool. 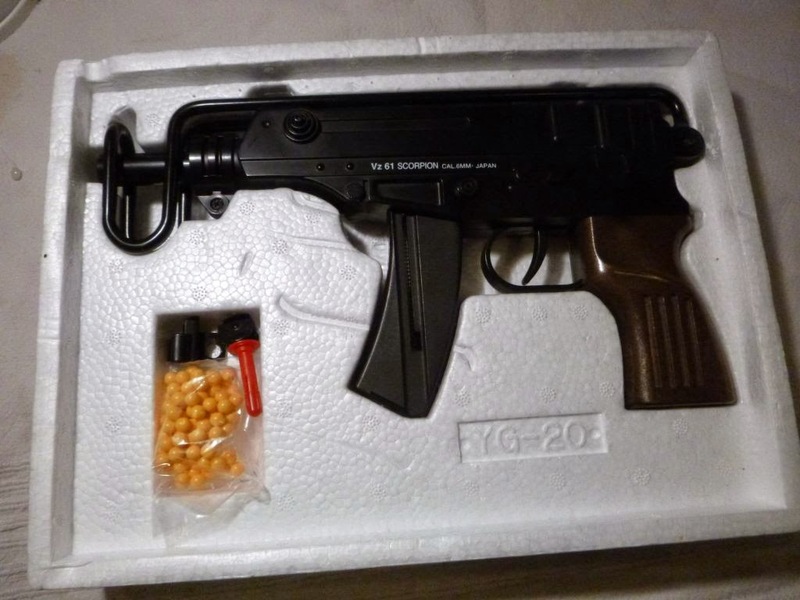 Visually it's kind of like a mini-Uzi with a bit of Kalashnikov DNA. 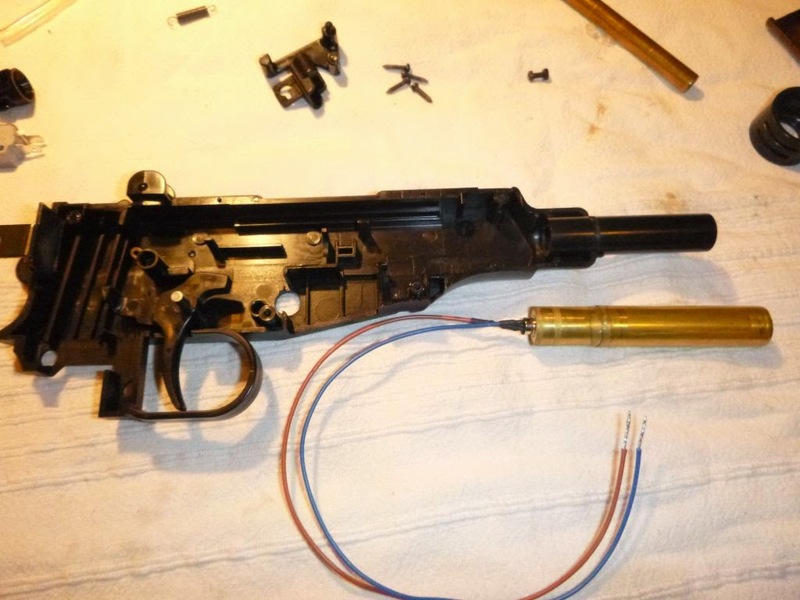 The whole thing is quite small, so it's going to be a bit of a challenge to make it into a working Lasertag gun. Thankfully though, the emitter assembly I bought looks a good fit to replace the current barrel. The diameter is very similar so it's not going to mess up the look of the gun and should mean is going to be an easy fit. 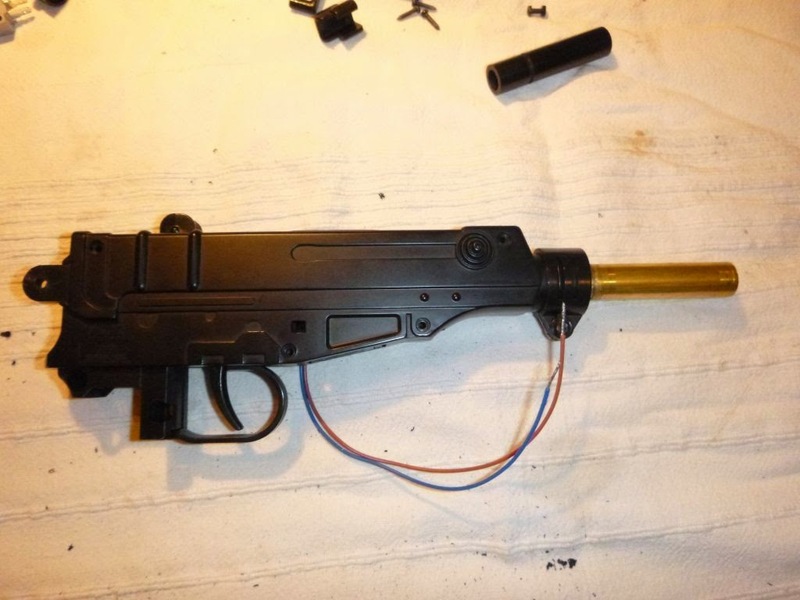 With a tiny bit of messing, the emitter directly replaces the barrel. It protrudes further from the front of the body but I may able to slide it back somewhat. I've not done that just yet as one of the locating lugs for the body is in the way and I don't want to remove it. If the barrel looks OK like this I'll leave it. My only worry is it may not be desperately secure given how far it sticks out. So here is a very rough mockup of how I might mount the components. Obviously missing right now is a speaker or sound board. The latter I can easily fit in, but the speaker is going to be very hard. I've got a couple of small ones but they're still far too big. No chance of fitting the muzzle flash LED inside the emitter as I've bought it complete. It'll have to be somewhere on the front face of the gun, but this shouldn't be hard to pull off. I need to buy some NiMH batteries to turn into a 7.2V brick. The 3.6V Li-ion ones you get are appealing but more complicated to charge so ideally need to be removable. I also need to buy an assortment of switches as I've nothing but little PCB tactile stuff at the moment. 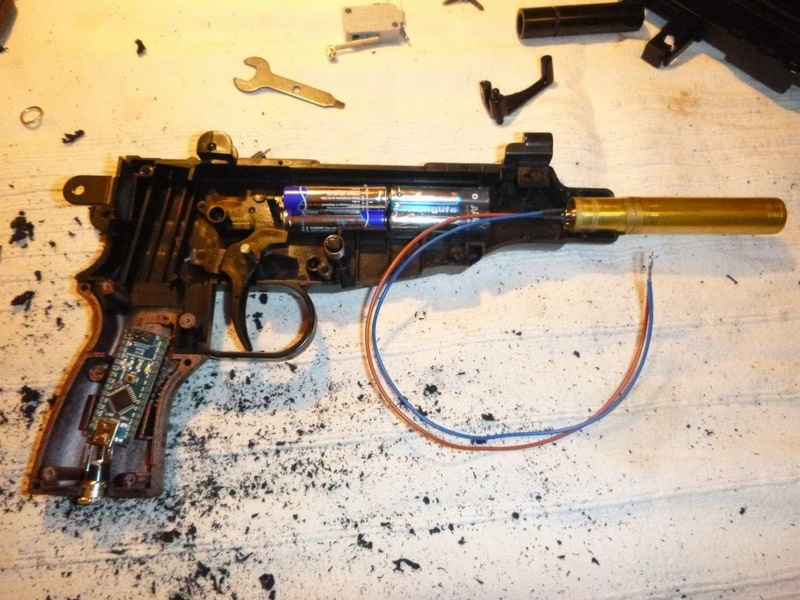 This will need a power switch, reload switch and trigger. I've a half formed plan to use reed switches but it might not work out. The Lasertag gun I bought made up by Phil was constructed out of a Playstation Time Crisis style light gun and I can see why. You get something already designed to emit IR with a switch at the trigger and a smattering of other buttons.